Siborg is hosting an end of year sale featuring LCR-Reader, LCR-Reader-MP, Smart Tweezers and other items from the LCR-Reader Store. The sale stars December 17th, 2018 and will end on January 1st, 2019 and includes the LCR-Reader Store and Siborg’s Amazon sales channels in USA, Canada, France, Germany, Spain and Italy. To celebrate the LCR-Reader-MP’s 6 months on the market, Siborg is offering the device for a discounted price in the LCR-Reader Store starting March 1st until March 8th, 2018. 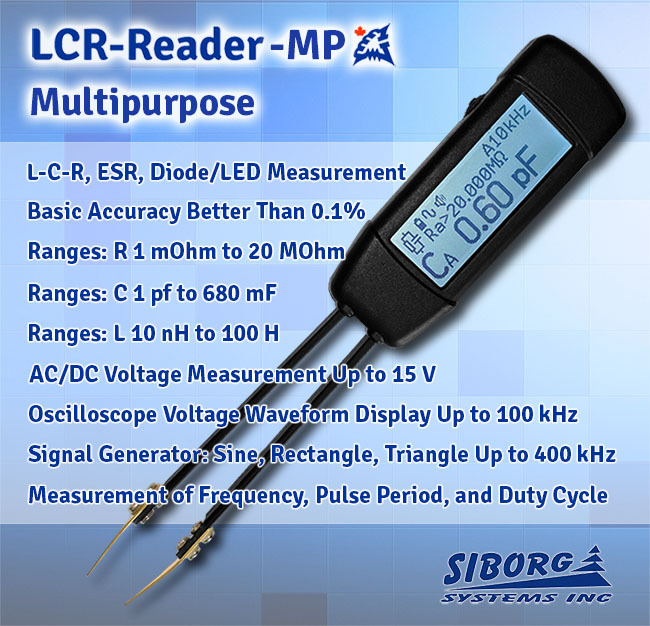 LCR-Reader-MP is a complete PCB debugging tool with the highest basic accuracy on all of Siborg’s devices at 0.1%. 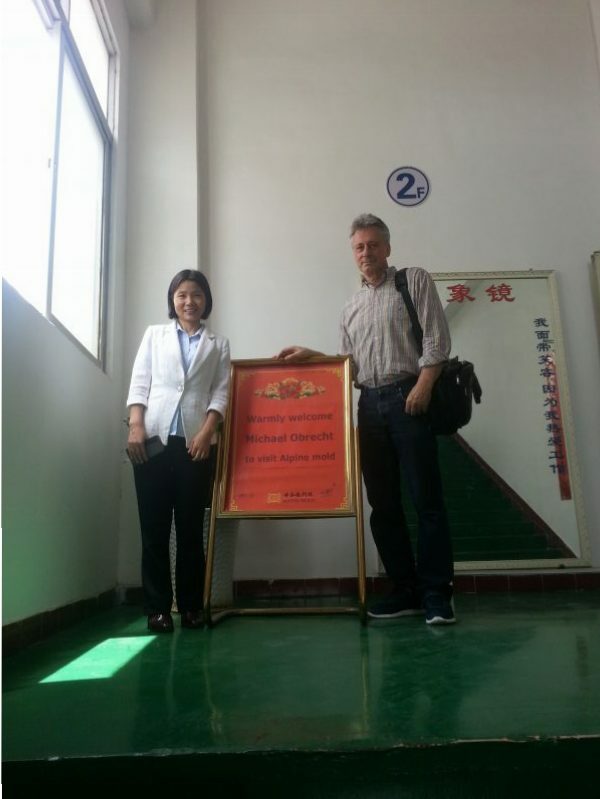 The MP is able to determine the type and best test parameters when grasping the component. 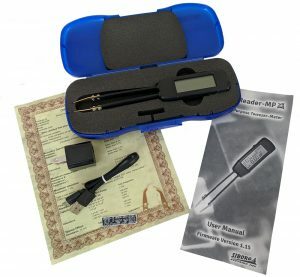 It instantly measures with high accuracy and reveals results on the built in back-lit display. Each devices is accompanied by an NIST traceable calibration certificate. The MP is exceptionally useful in conjuncture with the LCR-Reader/Smart Tweezers Kelvin Probe Connector and the oscilloscope mode. 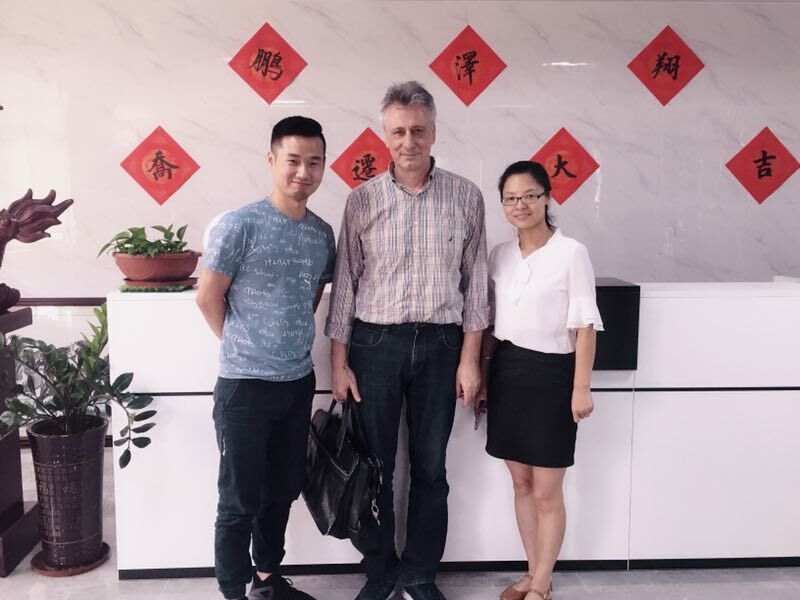 These allow the user to analyze various wave-forms at different points on a PCB. The March Sale begins on March 1st, and ends on March 8th, 2018. 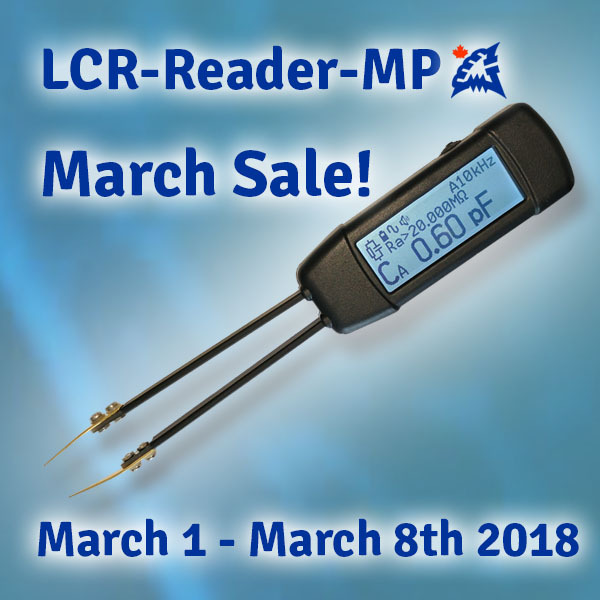 Be sure to visit the LCR-Reader Store for your discounted price! 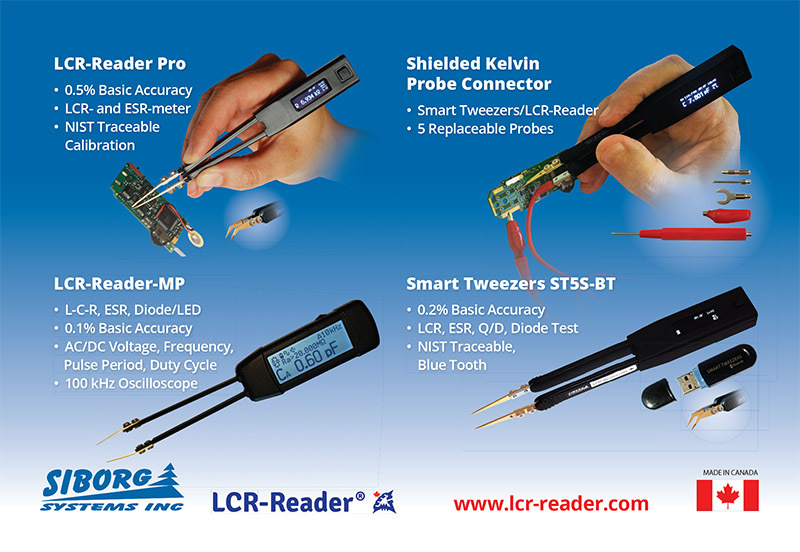 The LCR-Reader Store also offers other PCB testing tools such as LCR-Reader, Smart Tweezers and Smart Tweezers with Bluetooth, LED Test Tweezers and the Kelvin Probe Connector set.